Editorial Illustrations for a Wildlife Conference handout. 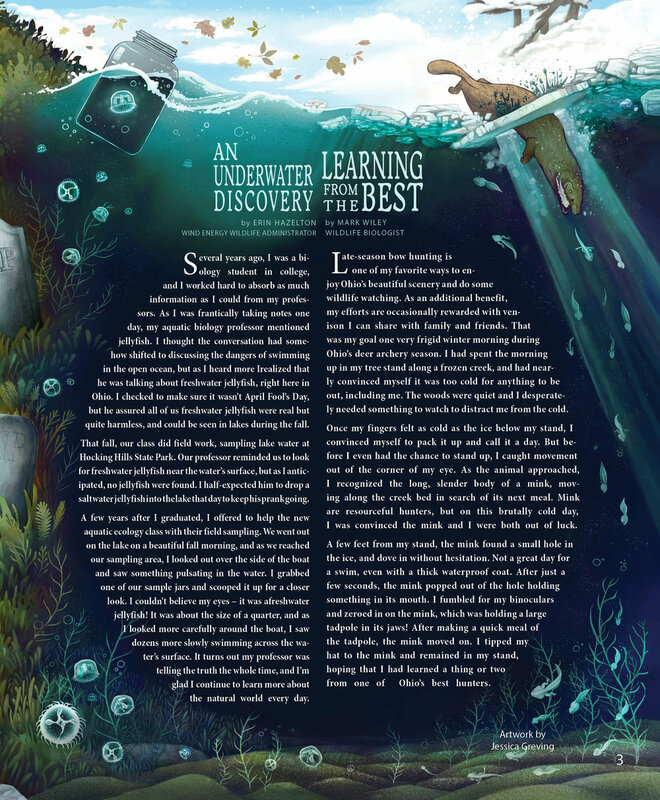 Below are Illustrated spreads I designed the artwork and layout of. This features some short stories from the 2018 Calendar Edition of the Wild Ohio Magazine. Another spread I had a lot of fun with designing and drawing. To the left is the cover of the Magazine it's in.